When a game offers four games for the price of one, it’s hard to argue its value. Gears of War: Ultimate Edition will ultimately provide access to four games through Xbox One’s back compatibility program, and that alone makes it tempting. 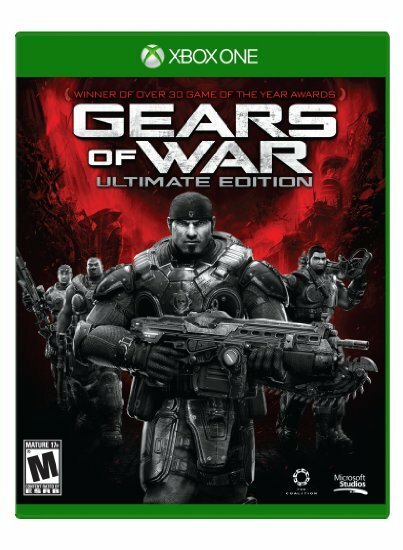 However, the track record on remasters of games has been spotty, so Gears of War: Ultimate Edition has to battle through understandable consumer caution to earn gamers’ money. Fortunately, it does this beautifully because it’s not a remaster. All the in-game objects, textures, backgrounds, character models, and cutscenes have been totally rebuilt so that they look and work (mostly) better. Basically, Damon Baird no longer looks like he lost a bar fight after surviving smallpox, and the Stranded no longer look like evil marionettes dressed like cowboys. The redone cutscenes bring greater emotional power to the biggest dramatic moments. There are also additional sight gags and reveals based on subsequent games that will give returning fans fresh thrills. The additional details like interior decorations, propaganda posters, and even the occasional tree all bring fresh life to the first act of the Gears saga. Moments of terror and sadness are now visible on the characters’ scarred, square-jawed faces. Dom has appropriately dreamy heartthrob eyes, but Marcus has moments where you swear he’s going to shed a few tears too… then he’s back to yelling. Baird’s face is twisted in a way you recognize if you’ve ever had to stay tough while fighting the urge to scream and run away, and it makes his own accomplishments all that much more heroic. Of course, Cole is still Cole, but… I don’t know, he looks cuddlier now, to me. He has something of a baby face which is an interesting juxtaposition with his status as a star athlete turned military killing machine. 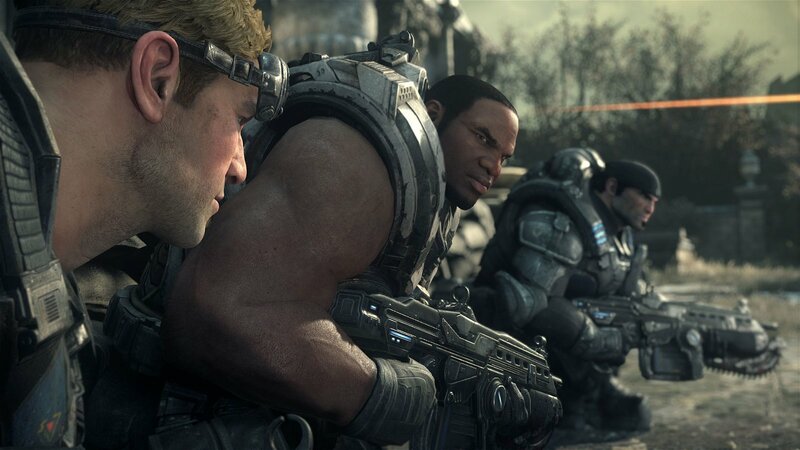 All of the Gears seem subtly redesigned to have approachable faces, and I think this is a nod to the particular brand of youthful, innocent masculinity that the game promotes: the characters are the tough guys little kids want to grow up to be so that they can protect their friends and families. Additional backstory is also available through the new COG tag collection reward system: selected Gears of War comic books are unlocked that give you the back stories of General Hoffman, Marcus’ and Anya’s parents, and other critical information that helps you better understand certain parts of the story. When you see a red Gears symbol in the environment, a tag is nearby. It’s absolutely worth taking the extra time to find it and get that comic page. Long-time fans who have weathered the criticisms of Gears’ brown and green palette will likely note the new pops of colour with amusement. Reds and yellows are all over the place now, not just in blood and Imulsion. Attempting to use this colour balance nine years ago would have resulted in visual mush. Now, enhanced graphics capabilities let the bloody gameplay stand out from red backgrounds without looking like bloodstained puke. And what about that gameplay!? It’s still a glorious over-the-top example of the best that blood-and-guts gaming has to offer. Bullets hit bodies in sprays of blood, adding to the fun while it takes twenty lancer shots to drop the huge, meatsack locust drones. Headshots result in five-foot-high geysers of blood. Grenade, torque bow, and chainsaw kills result in ludicrous slab-of-beef dismemberments. Bodies get stuck to the playable characters’ feet and get dragged a hilariously long way, complete with squishing sounds. The way these giant men jump and roll around in power armour is still delightfully cartoonish. Yes, people still die, and the emotional toll is real, but the sickening, scarring realities of what ballistic weapons do to the human body are appropriately lacking from the Gears of War equation. It’s more like wrestling mixed with a Troma film. That’s what makes it fun. Certain elements—like squad commands, tweaks to the lancer chainsaw, and some other balance elements—have been retroactively applied, but the Hammer of Dawn, sniper rifles, and torque bows all feel pretty familiar. Difficulty has been rebalanced for new players so that easy mode is actually easy… as is normal mode until you hit well past the halfway point. An extended fifth campaign act previously only playable on the Windows version of the game does make the story feel like it ends less abruptly, and both the power station and Brumak fights change things up nicely. The gun battle in the park, on the other hand, is one of the buggiest parts of the game, including lag when you try to use a Troika gun that makes the fight more frustrating than it has to be. I also had trouble hearing some of the instructions in the theatre level, so you may want to turn on subtitles. Overall, the QA on the last third of the game seems rushed, likely the result of a short ten-month active production period. In one instance in the Fenix Mansion, Dom got stuck in a doorway and trapped me in a side room, so I had to reload from the last checkpoint. In a few other instances, the stick-to-cover mechanic didn’t work properly—I couldn’t aim or fire while attached to certain objects. Various weird, irritating glitches in the way the Hammer of Dawn behaviour in the courtyard Berserker fight also make me suspect a patch will be forthcoming very soon after launch. However, all of these issues are extremely minor since autosave checkpoints are usually plentiful. If you die or have to reload, you rarely lose much progress. The greater disappointment was that the 1080p, 60fps redesigned multiplayer often did not run at 60fps for me. I suspect this has to do with network lag because when I played in a LAN setting the framerate drops weren’t there, so I’m not going to reduce the game’s score because of it. If you have fast internet, you’ll likely enjoy the increased smoothness that 60 fps brings to multiplayer gameplay. If you have slower connection, you’ll likely not be able to experience true 60 fps on any Xbox One multiplayer game. That’s not the fault of the game. The multiplayer experience is still improved, even if you can’t reach 60fps, with multiple interesting gameplay modes and lots of customizable skins available. Team deathmatch, ported over from Gears of War 3, is especially teamwork-driven and newbie-friendly because of the shared pool of lives. 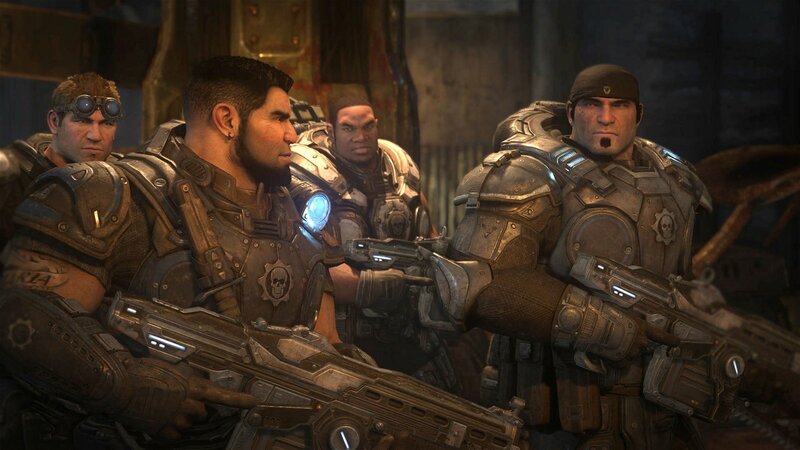 Teamwork, to me, is the core of the Gears of War experience. The game’s narrative and most enjoyable gameplay modes stress cooperation. Even the campaign is more fun when played with a friend, regardless of skill level—split-screen co-op is back for Gears Ultimate, an increasingly rare feature which deserves to be rewarded. I’m sure some snobs will still criticize the campaign’s “incomplete” narrative structure, but a complete Gears experience isn’t about a meticulously structured story; it’s about giving each character moments to shine and riff off each other. 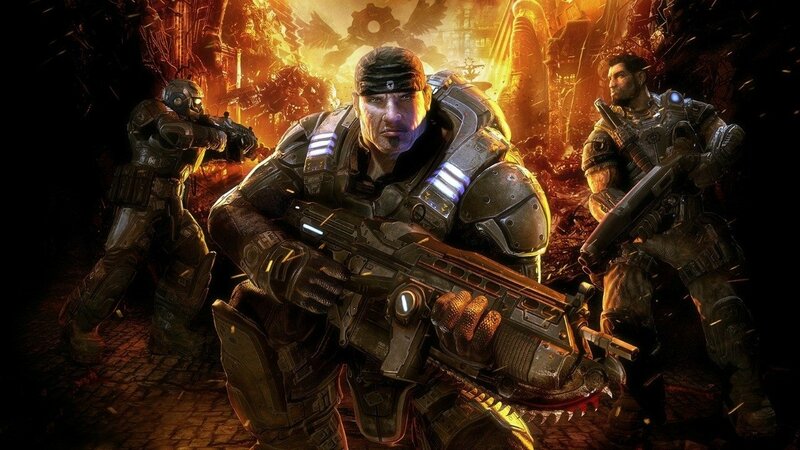 The “testosteromance” of Gears of War still has power, because it reminds us of the kind of heroes we wanted to be when we were ten years old. When a game can do that, it’s achieved something profound. Gears of War: Ultimate Edition will ultimately provide access to four games through Xbox One's back compatibility program, and that alone makes it tempting.